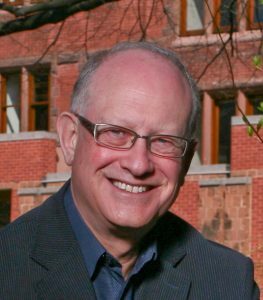 Dr. David A. Wolfe is Professor of Political Science at the University of Toronto Mississauga and Co-Director of the Innovation Policy Lab at the Munk School of Global Affairs. From 2009 to 2014 he was the Royal Bank Chair in Public and Economic Policy at the University of Toronto. He has been the Principal Investigator on two Major Collaborative Research Initiatives funded by the Social Sciences and Humanities Research Council. He is currently leading a five year SSHRC funded Partnership Grant on Creating Digital Opportunity for Canada. Prof. Wolfe has published extensively on cluster dynamics, innovation policy and related knowledge-based economic development. He is the editor or co-editor of ten books and numerous scholarly articles. His most recent book, co-edited with Meric Gertler, is Growing Urban Economies: Innovation, Creativity and Governance in Canadian City-Regions.